Spill and falls are a part of every mobile phone’s life. Although, most of the time the new-generation smartphones come out of the dilemma unharmed but sometimes the damage can become somewhat fatal impacting the quality of phones and tablet. 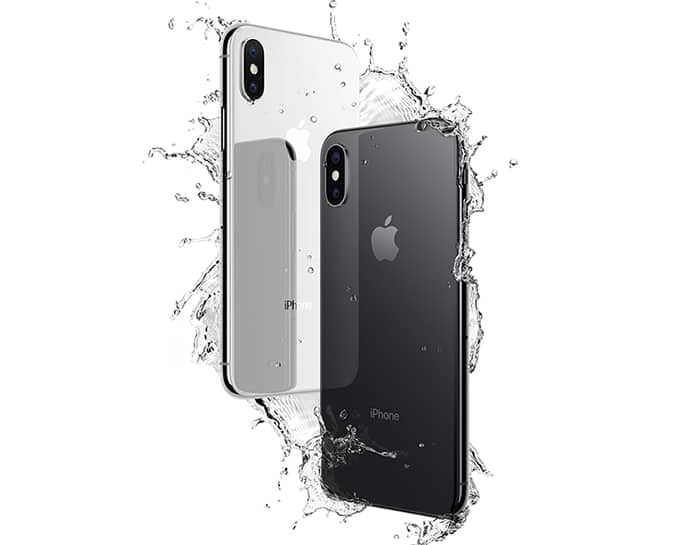 The good news is that many new phones including the iPhone X are marked as “water proof”. But how much protection do they give? And how will the water impact the quality of the new phone? To all the prospective Apple consumers, the good news is that iPhone X is waterproof up to 1 meter or 3 feet. It is rated as IP67 which means it is completely dust-resistant and water-resistant when submerged in 1 meter or less water. However and unfortunately the warranty by the Apple Company on iPhone X does not cover water damage. Same goes for iPhone 7 and iPhone 7 Plus which were the first mobile phones to be completely waterproof but were not backed by the warranty for damage from liquid. How is the Phone Graded for Water-Resistance? The quality of the phone is graded by an IP code, also known as Ingress Protection Rating or International Protection Rating. The IP code ranks the devices by giving them a score from 0-6 for dust-resistance and 0-8 for water-resistance. 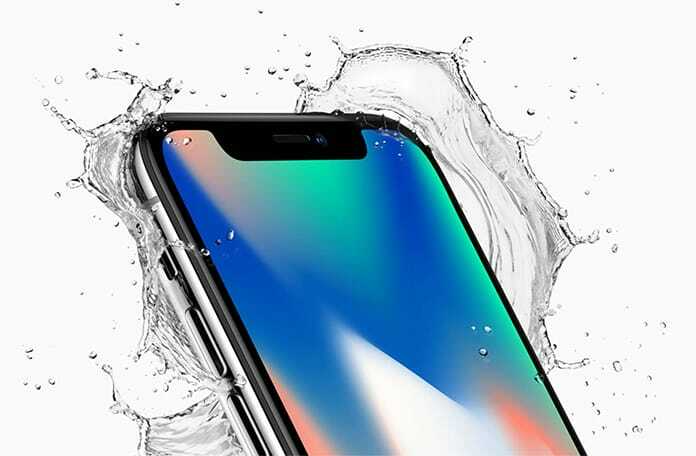 Formerly, the title of having an IP68 waterproof rating was held by Samsung Galaxy S7 and S8 but it appears that Apple will soon catch up and offer their loyal consumer their own version of a IP68 phone. A patent was also filed by the Apple Company in Taiwan for a IP68 phone set. To all the anticipating iPhone lovers, the new iPhone X (pronounced iPhone 10) will be up for pre-order from 27 October while the delivery is expected to start from 3rd November. 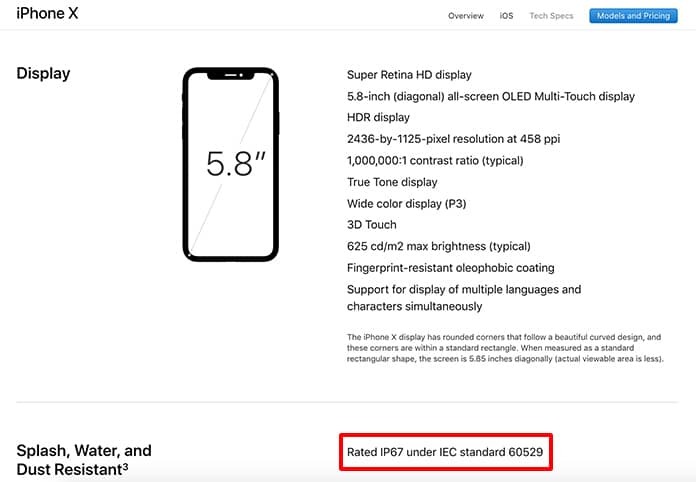 With that, we only have to wait less than a couple months to test out whether the iPhone X lives up to the IP rating or not.